How do you help someone else recognize their own strengths? Their own potential? To believe in themselves and their future when the odds are against them? This was the challenge when our team of Global Volunteers was asked to design and deliver a motivational workshop for the teenage boys aging out of their orphanage in Lima, Peru. They had lived there for years and now they would be on their own in just a few short months. Would they recognize their unique strengths and be able to use those assets to achieve the future they wanted for themselves? How could we help set them up for success, and do it in a second language, with limited training supplies and in just 45 minutes? It was actually the boys talking about their passion for soccer that sparked the idea of using a simple picture of a hand, a head and a heart to capture their individual strengths. Our goal was to have each young man recognize and appreciate his own foundation of unique strength. Here’s how we did it in five simple steps – so simple but so powerful – and you can do the same with any young person in any life circumstance. Finally, ask them to draw a picture of their heart in the lower right corner of the page. Here they write their “heart” strengths like courage, persistence, faith, etc. Connect the three pictures (hand, head & heart) with a triangle and ask them to write “Soy Fuerte” or “I Am Strong” in the center. From here, you can flip the paper over and help them identify their future or dream jobs and finally, what resources they will need to use to achieve those goals. Did it work? Yes! Very Well. 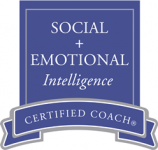 It was amazing to see how quickly the teenage boys grasped these concepts of interpersonal strengths and were able to apply them directly to their future. We were amazed and so inspired by their courage and spirit. Thank you boys for allowing us to be part of your journey! Stepping Up to Be a Global Volunteer: Why & Who? 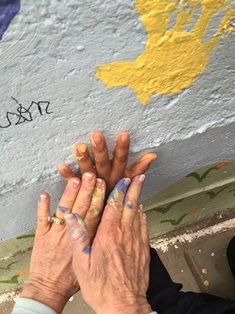 Painting the schoolyard wall with the children and staff, as part of Global Volunteers, 2015. It’s a good question . . . Why volunteer time, energy and money to work in a totally different country with all its risks and unknown challenges? And who would even want to do that anyway?First, the question of “why” . . . although the answer is different for everyone, it almost always gets back to a strong sense of wanting to be part of something bigger than just ourselves – to find meaning and purpose in our own individual efforts. It’s that spark – that hope that each of us in some small way can contribute to making the world just a little better for others. Second, is the “who” . . . who takes on these kinds of challenges? Our work in Peru was intense but relatively easy compared to the tough Peace Corp assignments, Doctors Without Borders or other similar humanitarian efforts around the world today. Now what about you? At this time in your life, are you thinking (and maybe even excited) about stepping up to this kind of experience? It takes a lot of planning, preparation and can cost significant money as well as time away from work and family commitments. Are you ready for that kind of adventure and challenge? If so, here are five excellent more personal questions to honestly ask yourself before raising your hand and submitting your application. What are my expectations of this experience and are they realistic? Am I physically and emotionally healthy enough for this experience and possible risks? Am I truly open and receptive to learning and appreciating a new culture/way of life? Am I really flexible regarding time schedules, new foods, different personalities (on the team), work responsibilities etc? Do I have a love of people and a sense of humor! There are many other criteria to honestly see if global volunteerism is for you at this time in your life. Be honest with yourself – this may be a great time or perhaps not “yet”. Either way, it’s a delicious option! Global Volunteers – Just One of Many Volunteer Opportunities! 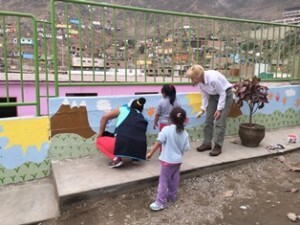 Kit and other Global Volunteers, Peru, 2015. There are many great international humanitarian organizations. 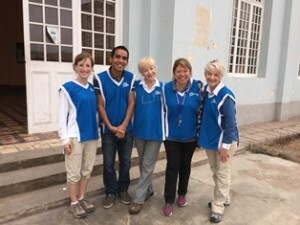 My favorite has been the Global Volunteers organization – www.GlobalVolunteers.org– which has been serving underdeveloped communities around the world since 1984. They are now serving in 19 countries with varied projects including teaching English and doing light construction. 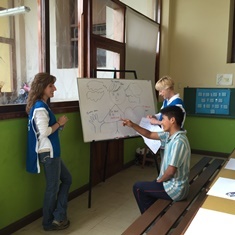 More than 30 thousand volunteers have participated in one-, two- or three-week assignments, working in rotating teams under the guidance of experienced country hosts. What makes this organization different is their professionalism and organization, which makes the volunteer experience as smooth as possible. But more importantly is their ongoing commitment to providing sustainable services (through rotating teams) that are specifically requested by the community. In addition, community representatives are always working alongside the volunteers, making these desired changes their own. Global Volunteers is a long-standing NGO leader in special consultative status with the United Nation and in partnership with UNICEF and the Food and Agriculture Organization. I had to look twice! It was early evening on a beautiful warm night in Greece. 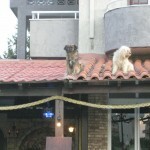 And here are two doggie pals sitting together on the tin roof of a house along the main street of Amadaoli, Crete. Would they slide off? Nope. They were perfectly content to watch the action down below on the street and when something really exciting happened (like their Greek Orthodox priest owner coming home) they would dash down to the first floor barking wildly to greet him. After taking care of that task, they would scurry back up to the roof to take their front row seat again and resume watching the tourists, party-goers and Global Volunteers (that’s us) returning home from our day of work. It was the best seat in the house – they didn’t miss anything and were right in the middle of the action. Why don’t we all do that? Every evening they were there . . . and I had to think they certainly had the right idea. They were positioning themselves to be right in on the action. Sitting in the front seat of life not hiding in the back row. How often do we figuratively sit in the back and avoid being front and center. We find lots of reasons to do that . . . it’s our personality; the situation isn’t right; it’s too risky, etc. But it’s actually simply habit. We simply go to that comfort zone and default to pushing the “No, I don’t think so” button over and over again. But what does that get us? Not very far and probably a bit bored. Yes, it’s comfortable and there are no surprises. And that’s the problem . . . it’s very, very comfortable and there are no changes, challenges or opportunities to stretch our wings. Sitting in the back row of life may have worked just fine for you over these last few years. But is it working now? Is it getting you to where you want to be next? For many of us, that answer would probably be no. So I encourage you to move up a row or two – stretch that comfort zone until you’re sitting in the front seat of life like the doggie pals sitting on the roof. And I bet they are still there too! 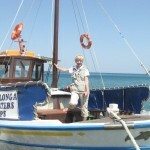 It was a small boat in a small town on the eastern shore of Crete. The winds were up and the water was rough. The regular tourist boats were closed due to the May 1st holiday but our taxi cab driver (in a pink tie & driving a Mercedes) had a “friend” who had a boat to ferry people out to the famous island of Spinalogue, an old leper colony and one time prison. Did we want to go? My adventurous twin sister, Diane, said “of course” as I was still contemplating a cappuccino in a cozy tavern on the shore. But that’s Diane . . . she has always been the one to push the “Yes” button before me. And I’m so glad she does! We’ve had the best experiences over the years including on this special holiday seeing this piece of history from the sparkling blue waters off Crete. One of our wonderful Canadian team members, Sheila Davis, embraced this idea and became our inspiration. She is more fun, full of life and certainly is willing to say “yes” to anything anywhere. I’ll travel with her anytime! It’s interesting how easy it is to get in the habit of just saying “No” to new things especially when they change up our normal daily routines or stretch our cozy comfort zones. We are quick to think of why it’s not a good idea . . . and much slower to think why it may be a good (even great) idea. It actually becomes a habit – saying no before we even really think about it. But what does that kind of automatic response do for us? Not much. Sure, life rolls on very safe, comfortable and (dare I say) a tad bit boring. And we can find ourselves saying afterwards “Gee, I wish I had done that”. But we can if we get out of our own way and let those adventures in. Challenging yourself to stretch, grow and learn benefits not only you personally (you’re much more interesting) but also your career. By using those adaptive, change muscles regularly you will be pleasantly surprised how much more resilient you are during times of significant change. You have that inner confidence and knowledge that you can be flexible, creative and adaptable. It actually very empowering – a real boost. So my challenge to you is to make “Yes” your default button. Yes, default to yes as often as you can. It will take some practice to say “yes” first to new opportunities unless you can think of some really good reasons to say “no”. Now I’m not saying to do anything so wild and crazy that it’s foolish or unsafe. I’m talking about just adding a bit of spice and adventure to your life. Let me know how you do and then we can plan our next great adventure!